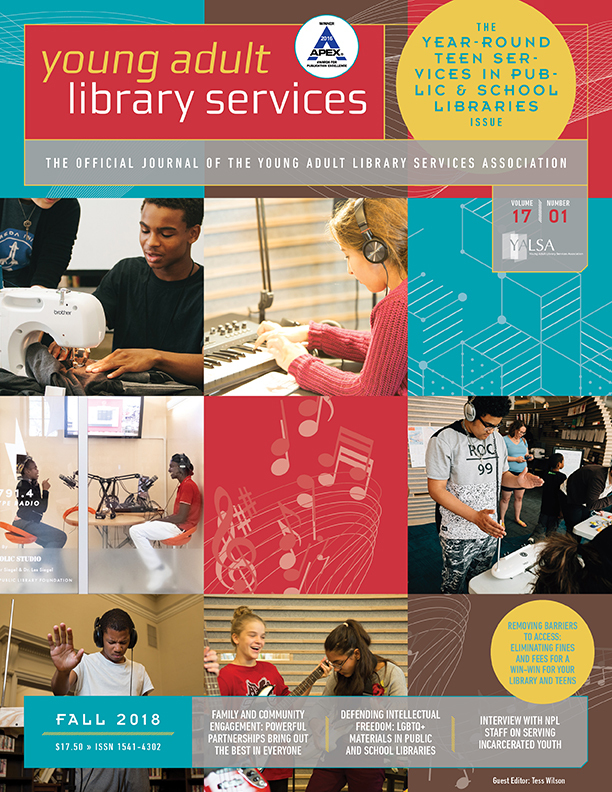 By YALSA Board January 14, 2019 January 13, 2019 Advocacy, Conferences and Symposia, Governance, Government Legislation, YALSA Info. At the 2016 ALA Annual Conference, YALSA Board directed the Leading the Transformation for Teen Services Board Standing Committee to explore the idea of changing or expanding the makeup of the YALSA Board of Directors to include board members who are from outside the organization. At the ALA Midwinter Conference the Board discussed document #27 to broaden the scope of the Board to accommodate advocates. The Board has had several follow up discussions regarding the makeup of the YALSA Board, most recently with Board document #12. 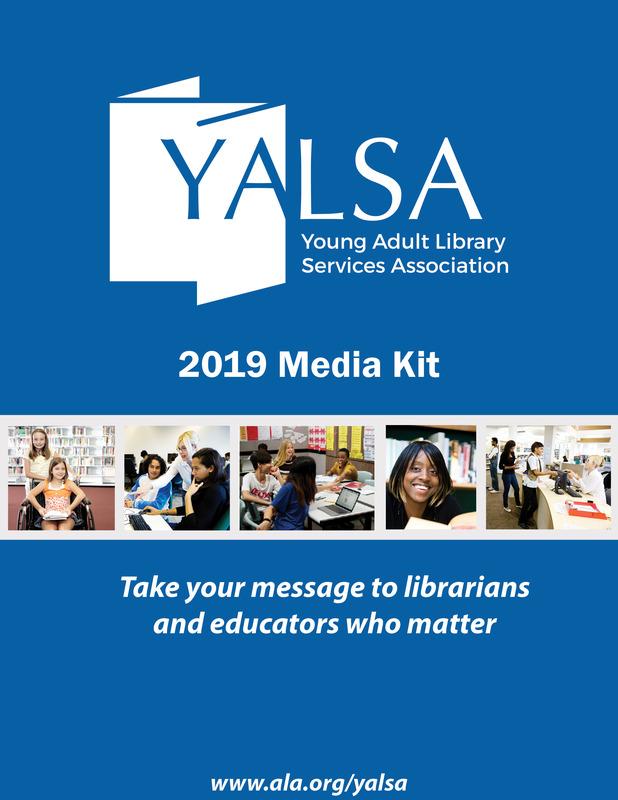 The Board has voted to create, with membership approval, an ex-officio (non-voting) board position for person with a non traditional background or experience who will act as an advocate for YALSA outside of the Library profession. This change was embraced by the Board as part of the 2015 – 2016 strategic planning process, and is included in the first-year Implementation Plan. It is also part of the current 2018-19 Implementation Plan. The inclusion of advocates to the Board who work beyond the library teen services space can bring a unique perspective and help broaden the organization’s outlook on serving youth. A more diverse Board can strengthen its capacity by bringing in relevant skills or knowledge from beyond the library community. 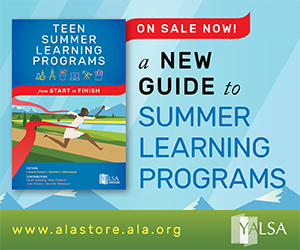 By including advocates on the Board, YALSA is modeling the behavior it wants members to adopt at the local level in terms of reaching out into the community to forge partnerships that increase their ability to meet teen needs. In order to make this change the number of At-Large Board members will decrease by one, and we will add an additional ex-officio position to the board. This member will be appointed by the President-Elect for a one year term, with the option to renew for a second term if so desired. This change will require a vote by membership (Board doc #13), so please look for more information closer to the March elections. Please feel free to contact Board member Melissa McBride, mcbride.melissa@gmail.com, with any questions. Each fall, the President-Elect of our organization joins the YALSA Executive Director to attend a leadership event to better understand the tenets of leading a nonprofit organization and how leadership styles may mesh and what improvements can be made to ensure a seamless transition and continuity for YALSA. Earlier this month, Executive Director Anita Mechler and I had the opportunity to attend ASAE‘s CEO Symposium in Washington DC, led by representatives from Tecker International. Tecker has worked with ALA and many of its divisions over the years to help with decision-making, strategic planning and training. Held at the historic Watergate Hotel, this year’s event was of particular importance to YALSA leadership, as it was the first time that Anita had attended the event, so both of us were new to the training. Before the program started on Thursday, we took the opportunity on Wednesday afternoon to meet with local partners. Anita met with the ALA Washington Office and discussed matters of advocacy affecting YALSA and teens in general. Then the two of us connected and met with Kelcy Shepherd, Tim Carrigan and Sarah Fuller of the Institute of Museum and Library Services (IMLS) where we had a very fruitful meeting discussing potential grant opportunities and partnerships that our organizations could jointly tackle. Finally, it was our great pleasure to meet with Abby Kiesa of 22×20 to further establish our working relationship. More information about all of these relationships will be forthcoming. The ASAE CEO Symposium brought hundreds of nonprofit leaders from various fields together to discuss Board and leadership issues, trends, and behaviors. Key to the two-day event was the time that Anita and I spent speaking one-on-one on how our backgrounds and knowledge inform our decision-making and leadership styles. We took a modified Myers-Briggs test and learned our strengths and potential pitfalls as individuals and as partner leaders. Responsibilities of Board members, fiduciary issues, governance models, and case studies were all covered in this whirlwind learning opportunity. As the next YALSA Strategic Plan will be determined in the coming months, the timing of this event was fortuitous to create a strong understanding between the Board leadership and our Executive Director. An added bonus was to spend time with fellow attendees ALSC Executive Director Aimee Strittmatter and ALSC President-Elect Cecilia McGowan. The four of us talked at great length about potential partnerships, both official and unofficial, between our divisions and simply enjoyed getting to know each other. In New Orleans at the 2018 Annual Conference, the YALSA Board discussed several documents related to Equity, Diversity, and Inclusion. YALSA is committed to Equity, Diversity, and Inclusion, and to make this commitment a reality the Board took several steps. First, the Board approved the prioritization of the recommendations made by the Advancing Diversity Taskforce, which completed its work earlier this Spring. The recommendations of the committee were ranked by the board as High, Medium, and Low. The items ranked High Priority are currently being implemented. Those ranked Medium Priority will be tackled during the 2018-2019 board. Those that are ranked Low Priority will be re-evaluated at the beginning of the 2019-2020 board to determine what still needs to be done. By Guest Blog June 13, 2018 June 20, 2018 Advocacy, Government Legislation, YALSA Info. I became a certified school librarian in 2006. I spent my early years teaching in school libraries learning the job, honing my craft, attending professional development and reading copious amounts of children’s and young adult literature. The ongoing pursuit of these efforts was to improve my instructional practice, to get better and to grow as a librarian. I spent countless hours reviewing journal articles about literacy, reading comprehension and instructional strategies. I read online posts from other librarians, reading teachers and classroom teachers. I studied best practices around research and inquiry. I pored over information literacy standards, reading standards and technology standards. I lurked on Twitter and compiled lists of relevant educational and library hashtags. I began posting some of my own educational content. I began teaching professional development coursework and presenting to my peers in-district and at conferences. 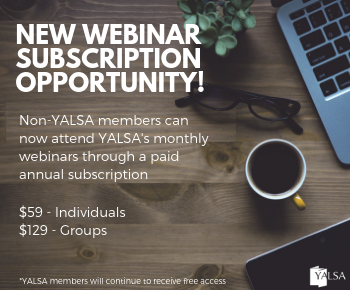 By Guest Blog April 28, 2018 May 5, 2018 Advocacy, Committees and Volunteer Opportunities, Funding, YALSA Info. YALSA is currently looking for members to join the Financial Advancement Committee. What is FAC? This committee is tasked with the important job of working with the Board to implement virtual fundraising campaigns and fundraising efforts at conferences, aimed at both members and nonmembers, to support the $19,595 worth of scholarships and stipends YALSA gives out annually. Being on FAC is a one year commitment and conference attendance is not required. FAC members work together virtually to plan and promote fundraisers throughout the year, focusing on different scholarships and stipends as we go along. 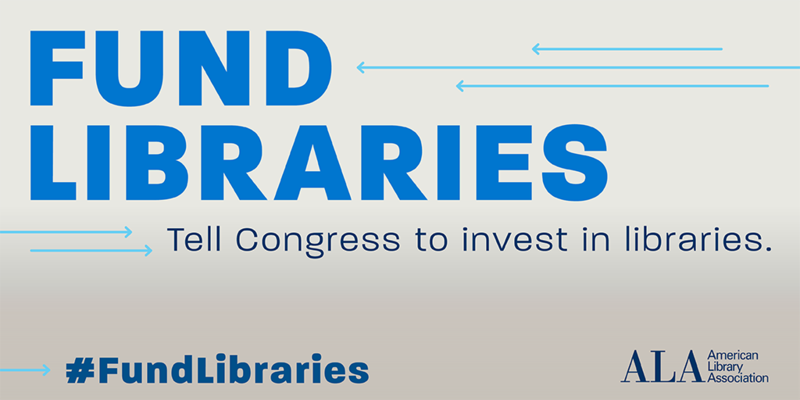 For example, we are currently raising money for a National Library Legislative Day travel stipend, so YALSA can send members to Washington D.C. to advocate for teen services. We also raise money for other grants and awards that don’t have corporate sponsors, such as YALSA’s Spectrum Scholar, an Emerging Leader, a Board Fellow and a Midwinter Paper Presentation. When FAC isn’t working on fundraising, we spend time contributing content to the YALSA Blog, helping members and non-members understand the long-term value of YALSA’s mission and work and we periodically update and promote YALSA’s Fundraising Toolkit. FAC also makes sure to thank all of the generous donors that give to YALSA. Don’t have any experience fundraising? Don’t let that stop you! 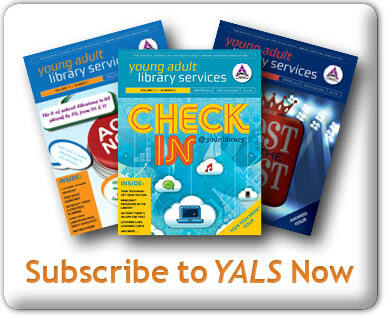 All you need is the ability to work virtually, creativity and a passion for YALSA’s mission! Being on FAC this year has been a very rewarding experience, and I hope you will join me in July for another great year.